Developing resilience in agriculture to regular weather shocks in the short-term and to climate change in the medium- to long-term is one of the biggest challenges facing Indian farmers today, said a World Bank expert. 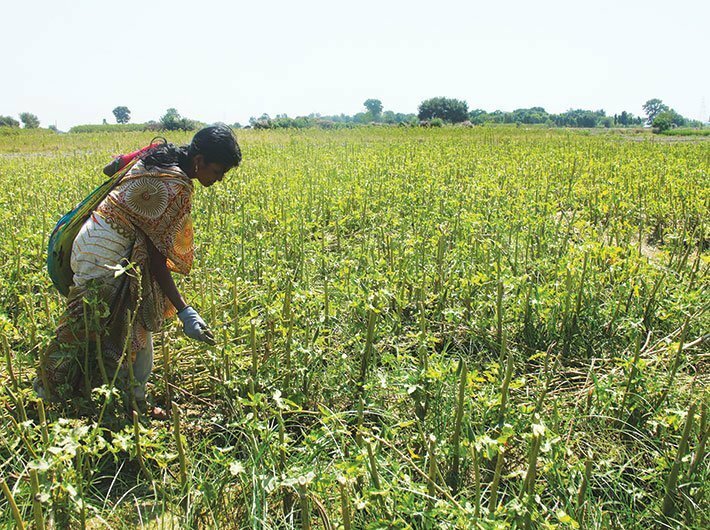 Large-scale pilots are being implemented in four districts of Bihar and Madhya Pradesh to test the effectiveness of digital apps to generate climate resilient solutions for farming needs, wrote Priti Kumar, senior agriculture specialist at the World Bank, in a blog. Both SLACC and NRLP are supported by the World Bank. Funded by the Special Climate Change Fund under the Global Environment Facility (GEF), the SLACC project aims to empower at least 10,000 farmers to adopt climate resilient practices. Kumar pointed out that these include a range of technological solutions, such as community-based adaptive planning, conservation agriculture, farm mechanization, efficient irrigation, soil health cards and digital farming practices. In the coming year, 90,000 farm plots in SLACC areas in both states will be audited and tracked across the kharif and rabi seasons for the major crops. Overall, NRLP is being implemented in 13 states of India and has reached 7 million households.